I&apos;m turning 20 in 3 days, I feel so old. Louis is currently thirty weeks pregnant while Niall is twenty-six weeks pregnant. 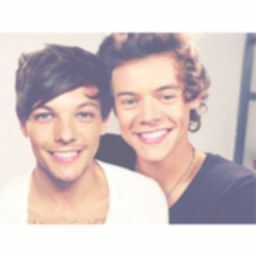 It has been weeks since Louis and Harry forgave each other but today was a totally different story. 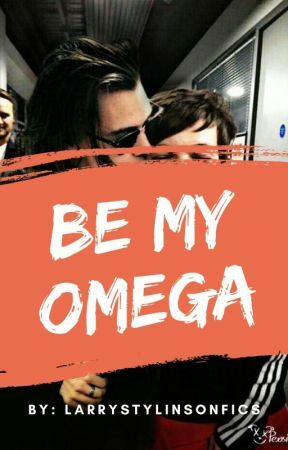 The omega was crying his heart out in the middle of the night with his face hidden in his hands. It made the alpha wake up in the middle of the night in shock and asked, "What&apos;s wrong?" and sat up immediately to comfort his mate. "H-Hurts, everywhere," Louis said as he sniffled and looked at his alpha with his cheeks filled with tears. His nose was red from how hard he was crying and blew his nose in the tissue. Harry furrowed his eyebrows sadly because he hates seeing his mate like this and brought him into his arms. He rubbed his baby bump slowly and whispered in his feathery hair, "Shh, I&apos;m right here, tell me where it hurts." Louis relaxed his body against his alpha and it made him feel less exhausted than before. He shut his eyes and said tiredly, "J-Just want to sleep." The alpha nodded as he said softly, "Course," and brought the blankets higher to cover both of their bodies as he added, "Sleep, my love," while rocking their bodies back and forth every so slowly. He rested his back against the stack of pillows and made sure that his omega&apos;s body was laying on him for comfort. Louis rested his hand on top of his large baby bump and sniffed his alpha&apos;s scent that calmed down his nerves. It felt warm and safe to be in his arms; he wouldn&apos;t have wanted it any other way. Once he was asleep, his alpha finally let himself sleep after checking up on his omega. The next day, Harry was wearing his tie when his omega just started to wake up. He yawned and said, "Don&apos;t tell me you&apos;re leaving," and frowned a bit while watching him dress himself in a suit. His alpha turned around to look at him and said, "I&apos;m sorry, I have to work on an important case today and I will be needing all the hours that I can get. The files we received alone need a room, so this time, I will have to be there in case they found anything." Louis sat up and said, "Can&apos;t they just call you when they find something?" and slowly stood up with a hand resting on the small of his back. He stood right next to him and rested his head on his alpha&apos;s shoulder tiredly with his eyes shut. Harry looked down at his precious, pregnant omega and smiled for a moment before he shook his head while saying, "I wish it was that easy," and wrapped his arms around him to bring him closer as he added, "I&apos;m worried about you. Do you want me to call Niall to come over again?" Louis sighed against his chest and said, "I love him but I don&apos;t want to bother him by always showing up at my doorstep. He&apos;s pregnant too, Harry." Harry rubbed his omega&apos;s baby bump for moment and said, "But you take care of three and I don&apos;t want you to be in pain while no one is around," and slowly turned him around to face him while holding his hands. The omega looked down at their hands and said quietly, "Can I come to work with you today? I don&apos;t want to be alone," and looked up at him with his sad eyes. Harry watched his omega&apos;s face expression and said, "I feel like it would be more dangerous if you do come with me and I can&apos;t risk that, Louis, you know that." Louis sighed while bringing him closer and rambled, "I know, I know, never mind, you&apos;re right. Don&apos;t worry about me, if anything happens, I will make sure to call you first," and pecked his lips then added, "Now, go to work, I will be fine." The alpha felt bad for leaving him behind but he knew that there was no other choice. He decided to call Zayn so that they could visit his omega and get him the food that he was craving at the moment. It was peanut butter and kale. Zayn wasn&apos;t all that surprised because he has seen worse craving requests from Niall. Once the three of them arrived, they invited themselves in and saw Louis who apparently fell asleep on the couch while reading a magazine. Niall sat on one of the couches and said, "Liam, honey, get his food ready and I will make sure to wake him up." Liam nodded as he was carrying the bags into the kitchen and started doing his work. On the other hand, Zayn was slowly taking the magazine out of the omega&apos;s grasp and set it aside before he joined Liam in the kitchen. Niall watched his best friend for a moment before he stood up and lightly shook his arm to wake up while whispering, "Louis, wake up." Because of the pregnancy, the omega turned into a light sleeper so he jolted awake and said, "I&apos;m up." Niall sat next to him and said with a smile, "Morning, sunshine," and fixed his hair as he added, "Liam is making you breakfast. Did you sleep well?" Louis leaned back into the couch and rested his head on his best friend&apos;s shoulder then closed his eyes again. He said quietly, "I want to sleep more." Niall cooed as he brought him into his arms without their baby bumps getting in the way and said, "Sleep for now. When your food is ready, I will wake you up, promise," and rubbed his arm in a soothing manner. Louis looked up at him and said with his eyes barely staying open from how exhausted he is, "You didn&apos;t have to do this," and gave up by closing his eyes again. Niall looked at him in disbelief and said, "Now what kind of a best friend will I be if I didn&apos;t take care of you? The pregnancy is easy for me and my alphas know it. I just have really weird cravings." Louis smiled at that and said in all honesty, "I wish you would live with us again. I&apos;ve missed you."